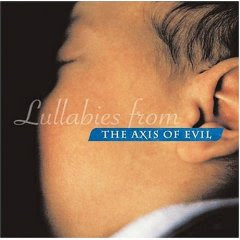 The work of Swedish lesbian vocalist Eva Dahlgren, part of an ensemble album produced by the Norwegian company Valley Entertainment entitled Lullabies from the Axis of Evil, has been blacklisted by the Bush administration. Women from Iraq, Iran, Syria, Palestine, North Korea, Cuba and Afghanistan sing duets with Western artists such as Nina Hagen, Rickie Lee Jones and the über- Swede Eva Dahlgren. The Norwegian producer Erik Hillestad was inspired to get to know the people from the "axis of evil", an expression he feels was used irresponsibly by Bush in his 2002 State of the Union address. Getting Western artists to lend their voice to the album was difficult since many of them were cautious to be involved with a project that was this politically charged. Dahlgren was not among them. 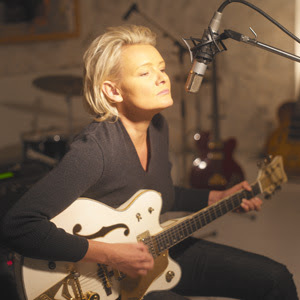 For years Dahlgren has had a dedicated following, an esteemed soulful singer who writes her own lyrics with over 500,000 albums sales and fiver Swedish Grammies. She married the artist Eva Attling in 2001.